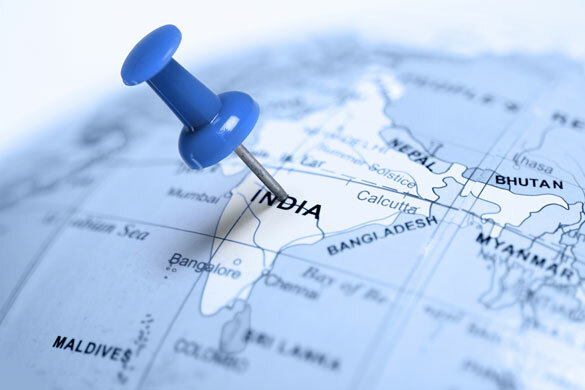 A move to hammer out a new trade agreement between the Association of Southeast Asian Nations (ASEAN) and other associated free trade agreement (FTA) countries has left India’s steel, manufacturing and other industries somewhat jittery. The country’s steel sector has been working overtime trying to make the Narendra Modi-led government understand its concerns, pointing to the loopholes in existing FTAs with Korea and Japan, as a case in point. This lobby feels that although these FTAs were meant to promote bilateral trade, they were heavily skewed in favor of the other country. That’s exactly what this lobby feels will happen under the Regional Comprehensive Economic Partnership (RCEP). For now, the signing of the RCEP has been deferred until early 2019. The new trade agreement, once signed, will cater to almost half of the world’s population, and will impact steel, pharmaceuticals, e-commerce, food processing, agriculture, and food security, just to name a few things. Signatories will include the 10 ASEAN member countries, plus China, Japan, South Korea, India, Australia and New Zealand. Needless to say, the RCEP is being closely monitored by the U.S. and other global trade lobbies. At the end of the first round of meetings, a joint statement issued said negotiations on goods and services market access, and on investment reservation lists had “advanced significantly” with all RCEP participating countries (RPCs) engaged in a series of bilateral and plurilateral negotiations throughout the year. “There has been a genuine effort by RPCs to progress market access negotiations while recognizing that different RPCs have different sensitivities toward each other,” the statement reads. It added the participating countries were within reach of concluding market access negotiations to meet the goals in the Guiding Principles and Objectives for Negotiating the RCEP, but some work was needed to close the remaining gaps. Steel giants such as Jindal Stainless have already made their apprehensions known. Abhyuday Jindal, managing director of Jindal Stainless, is nervous that India could agree to zero tariffs on steel import. And who will benefit from it? China, of course, he says, once again flooding Indian markets with cheap steel. Hectic consultations were on for some time between the various trade bodies, and then inter-ministerial talks between the Indian Commerce Ministry, and the Heavy Industry, Textiles and Steel Ministries. The latter are trying to have the Commerce Ministry exclude certain products from the tariff elimination list under the RCEP. The deferment may have given Modi some space, especially going into an election year as it is. The RCEP, if it happens, is being seen in Indian trade and media circles in direct contrast to Modi’s “Make In India” program.